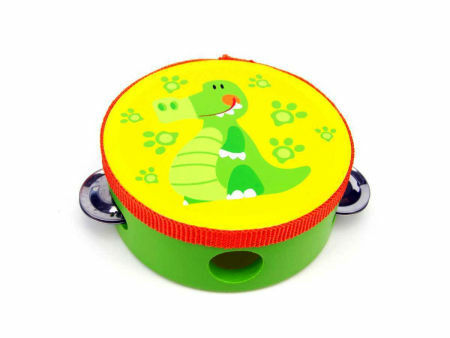 Wooden Toy Tambourine Crocodile is an attractive wooden musical instrument with a lovely Crocodile printed onto its skin. This little tambourine has three pairs of metal shakers and makes a very satisfying sound as you shake and tap it. This beautiful tambourine is very well made with a nice thick wooden frame and tough vinyl skin. A great addition to your little ones musical instrument collection. We like this because: "Fun and easy to play very nice quality."